There are trends that improve the business, then there are trends that are so innovative that they change the game altogether. One such recent brilliant update is Cloud computing in business models. The best thing about this technology is, it is very flexible and implementable to small, medium or large companies. What is cloud computing? Cloud computing for business. Cloud computing provides a way for your business to manage your computing resources online. The ‘cloud‘ refers to the internet, and operating ‘in the cloud‘ describes the way you store and access your data through an internet connection. Cloud computing allows businesses to access their information virtually, creating a global way of accessing your data any place, any time. You cannot simply say: “We will use cloud computing,” and expect your company to be transformed, as at the wave of a magic wand. It may not be the best choice in every situation, or in every enterprise. You must understand cloud computing, the different forms it can take, the different ways it can be used, and the different ways in which it can benefit your company. This guide will help you to understand cloud computing, and the different ways your business could benefit from it. There is no need to replace your existing hardware infrastructure to implement cloud computing. It just requires some softwares and you are good to go. People are generally in misconception that for switching to cloud computing, one must spend a lot and upgrade but that is not true, minimal changes are required for switching. When compared to the output provided by the cloud technology, the change seems worth it. It used to be that it was difficult to make the decision to move IT infrastructure to the cloud. With the recent surge in cloud computing, however, this decision becomes easier to make. If you were to store your data and ensure quality storage, you would have to spend a lot of money on IT infrastructure including hardware and software. This is on top of the fact that you would have to pay IT professional staff to manage your data. Organizations need to have the ability to respond to business challenges, react to market opportunities and get their products to market faster. To ensure that companies invest a large sum of money into an efficient IT infrastructure. Adding cloud to your IT system increases your internal improvement as well as competitive advantage. Business can be taken up a notch with cloud implementation as it enables you to access the details and make transactions anywhere and anytime. The cloud increases business agility by reducing business complexity. This is achieved by simplifying internal operations and enabling greater automation. The cloud has a pay-per-use model that gives its users the flexibility to scale easily. Not only does cloud computing make it easier for employees to work outside of the office, it makes it easier for small-business owners to manage their business at any time of day, from anywhere. The cloud provides the opportunity to rent or subscribe to platforms, infrastructures, systems, technologies and data services which can be scaled up or down according to the needs of the organization. Thus, companies need to pay for only what they are using and not any extra charges. This is one of the beast features if cloud computing in business. This is probably the most important characteristic of the cloud computing in business. Every company has some data that they can not afford to lose and cloud ensures that. Once you upload your data in cloud storage you don’t have to worry about skies getting rough(pun intended). The data should not be lost or modified by unauthorized users. Data integrity is the basis to provide cloud computing service such as SaaS, PaaS, and IaaS. Besides data storage of large-scaled data, cloud computing environment usually provides data processing service. Some businesses use cloud computing services as backup and a plan for disaster recovery. If you are looking for a good reliable inventory management software for your small business, you should try out EMERGE APp. Cloud technology makes team communication more convenient. When all of your employees can access all your documents and records, they’re able to do more together, and do it better. Integrating communication plugins in the browser means you don’t have to shuffle around to find your chat window. Integrating cloud communication into email means you can instantly view presence and availability, and initiate a chat from an email when desired. 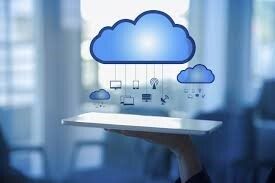 The best thing about technology is it keeps getting better and with cloud computing it comes automatically. Access to automatic updates for your IT requirements may be included in your service fee. Depending on your cloud computing service provider, your system will regularly be updated with the latest technology. Regular upgrades in your plans can prove game-changing for you. When you are not having cloud storage facility, the updates are not so frequent and you have to do it on manual basis. With cloud computing, this is a big plus. Having all your data secure at one place and accessible any time by any employee sounds very convenient. You get to enjoy a basic user interface without any requirement for installation. Plus you are assured guaranteed and timely management, maintenance, and delivery of the IT services. Since the cloud does most everything for you, there is no need to use valuable IT staff resources on things like maintaining servers, fixing bugs etc. you can get rid of extra IT staff. Your It professionals now can focus on business strategies to increase your company’s bottom line. Thus, it is clear that this elastic and scalable facility provides you more pros than cons and is worth a try. If you do not use cloud computing in this era, you are lagging behind most of your rivals and that can cost you a lot. So, without any second thought, take your business up a notch by embracing the advantages of Cloud Computing in business.